Corrupt Democrats ran a Facebook smear campaign against Judge Roy Moore in the Alabama Senate race in 2017 and Facebook allowed it. Democrat activists took what Russia did on a minute scale in the 2016 election and ramped it up times one thousand. PLEASE NOTE: Russia’s 2016 disinformation campaign targeted both pro-Trump and pro-Hillary supporters. The liberal mainstream media does not like to mention this in their reporting. Russia spent just $6,000 in the last six weeks of the 2016 election on ads. Russia spent only $4,600 on Google ads in the 2016 campaign. The Russian influence in the 2016 election was minimal and is one of the biggest lies by the left this century. LinkedIn billionaire Reid Hoffman was a top funder of this deception. Democrats took this “Russian model” and ramped it up — times a million! Facebook allowed this to happen. The same hacks who ran this deceptive campaign against Judge Roy Moore are the same people who wrote the junk “Russia interference” report for the US Senate! The Alabama Attorney General Steve Marshall told The Washington Post on Thursday that he will investigate the the Democrat election corruption. 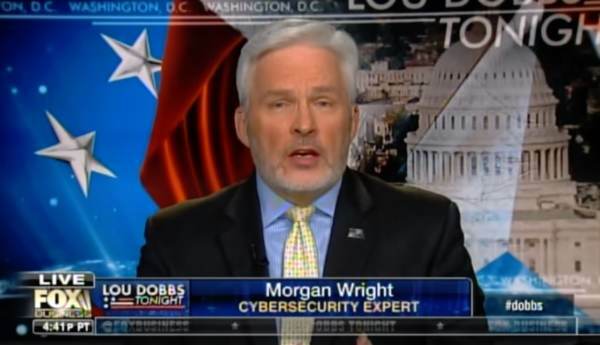 Cybersecurity expert Morgan Wright accused Twitter and Facebook of being complicit with these attacks on Judge Roy Moore. Morgan Wright: The big question is why didn’t Twitter and Facebook pick this up? This was such a big race. This was the epicenter of everything that was going on. And so this thing, if you think it influenced votes in the presidential election, I guarantee you the use of these tactics, they modeled it right after Russia. The exact same playbook… The bigger question is and I go back to, is we’ve had all of these quote lessons learned, but where was Facebook and Twitter on the identification of a thousand bots that were created literally overnight on Twitter and then all of the Facebook. Why wasn’t this picked up by them?… It almost makes you wonder if their was complicity and a blind eye that was turned in this election.